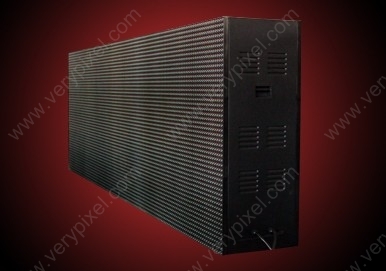 Double Face LED Display | double side LED signs | Double Sided Outdoor Full Color LED display - Shenzhen Verypixel Optoelectronics Co., Ltd.
● As our American market share is getting bigger, we specially design double face LED display for that area. A lot of American companies and store owners use double face display to display their company or service information beside the roads. Double sided display is very suitable for road advertising. ● If the display size could not be very big, and usually it is used to display company logos and some very simple messages, so it has to easy to install and maintain. What is more, people from two directions can all watch it, which could save the advertising space. Based on Market & Technical Advantages, VERYPIXEL has 2 Series of double-sided LED display products. 1. 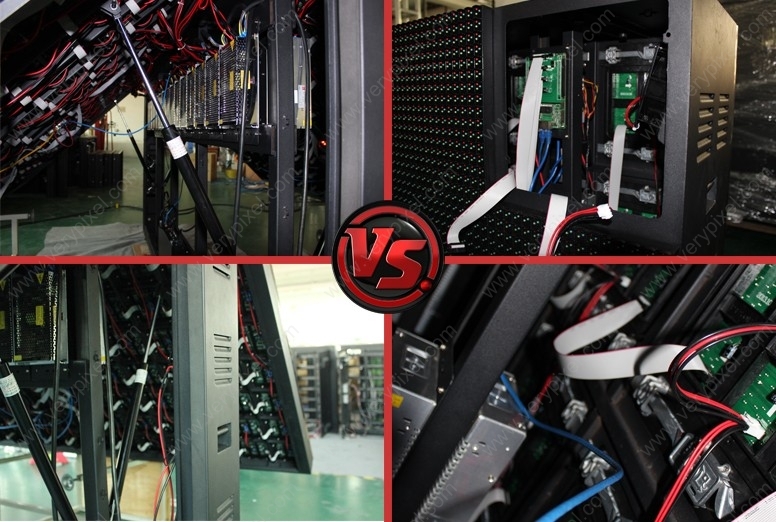 Independent cabinet design, to ensure strict IP65 waterproof rating. 2. High uniformity masks can fit modules perfectly, without shadows. 3. Installation is simple for our customers in accordance with the needs of design and installation. 1. Easy and fast installation and maintaining design. (Install or remove a module only takes 8 seconds). 2. The true front service, no front cover open. 3. Easy installation and light weight can make it amount in the wall or lift against the wall. 4. General Module design makes perfect flatness on the surface; minimize the gap between modules and cabinets. 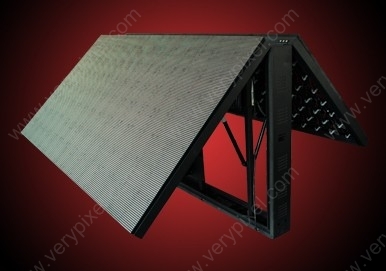 ● High quality double-sided LED display: Swing open structure design & Module front service solution from Verypixel. ● Key words for Double sided LED signs: ventilation, heat dissipation, wireless control, strong structure, programmable.